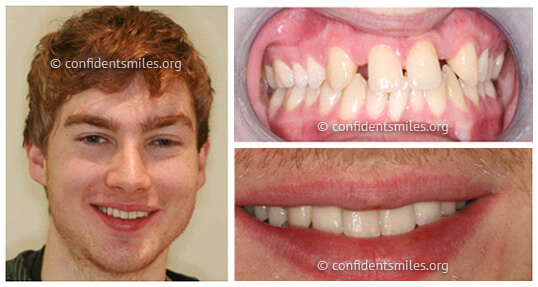 A cosmetic concern; a gap between your teeth that is obvious when you speak or smile. When your speech is affect due to these missing teeth. Missing a molar might not be noticeable when you talk or smile, but its absence can affect your daily chewing. After a tooth is removed, the remaining teeth are subject to extra pressure as your bit changes. This extra pressure can cause discomfort to the jaw joints and lead to TMD, tempo mandibular disorder. When a tooth isn’t replaced, the surrounding teeth can shift. This can cause plaque and tartar in hard to reach places; leading to tooth decay or periodontal disease. Further bone loss will occur in the region of the missing natural tooth. Our natural teeth are supported by their roots in the jawbone. When a natural tooth is lost, the extracted root creates an open space. That surrounding bone is no longer stimulated by a root, leading the remaining bone in the area to collapse and reabsorbs. If there is too much bone loss, it is very difficult to place an implant due to lack support in the jawbone. Therefore, the preventative measure to preserve the natural contours of that area is with a bone grafting procedure. This maintains the surrounding bone level for future tooth replacement. The procedure entails placing a specialized bone material in the region and sealing with a layer of collagen material to promote better healing. Over a period of time, with multiple missing teeth leading to reabsorbing jawbone, it often leaves a condition in which there is poor quality and quantity of bone suitable for placement of dental implants. In these situations, many patients are not candidates for placement of dental implants. With bone grafting, we now have the opportunity to not only replace bone where it is missing, but also the ability to promote new bone growth in that location! This not only gives us the opportunity to place implants with proper support, it also gives us a chance to restore functionality and esthetic appearance; helping improve your everyday life. 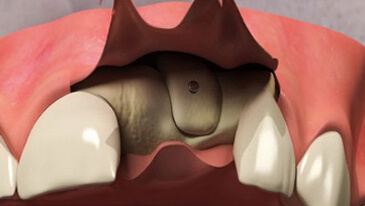 A single tooth implant replaces the root of a missing tooth. It serves as a freestanding unit that doesn’t involve the treatment to the adjacent teeth. The implant can improve the appearance of a “gap”, stabilize your bite and help prevent problems with the jaw. 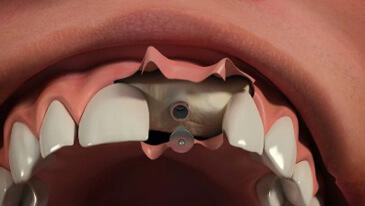 Dental implants can be used to support a bridge when several teeth are missing. The bridge replaces those missing natural teeth. When being supported by implants, it does not require the support from adjacent teeth; guaranteeing a very strong and fortified fixed bridge. If you are missing all of your natural teeth, an implant-supported complete denture is a better good option. Having the dental implants integrated with the jawbone, allows strong stability and comfort with your dentures; allowing you to chew and bite your meals naturally. 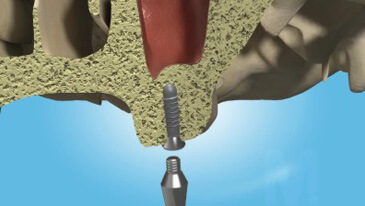 A sinus augmentation is generally performed at our office, under local anaesthesia. However, some patients also may request oral or intravenous sedative medication as well.